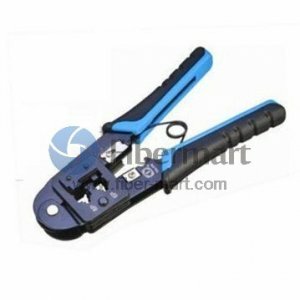 Cable crimp tool is a tool designed to crimp or connect a connector to the end of a cable. 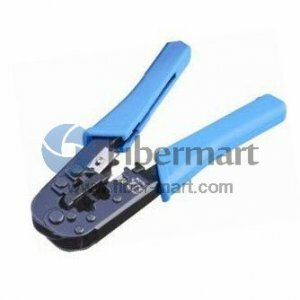 For example, network cables and phone cables are created using a fiber optic crimp tool to connect the RJ-45 and RJ-11 connectors to the end of the cable. It can bend, cut, strip and crimp insulated wiring in a snap. For cable and phone installation specialists, a handy crimping tool can cut and strip electrical wiring in a few seconds. 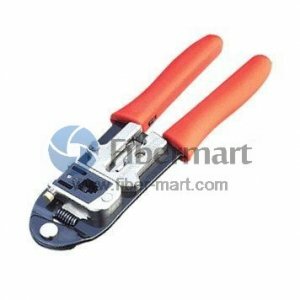 Fiber-Mart supplies a wide variety of specialized cable crimping tool, modular crimping tool, network cable crimpers which are all at very competitive price to help you get the job done right. For more information, please contact our sales representative right now. Save your time & money for your business or project!